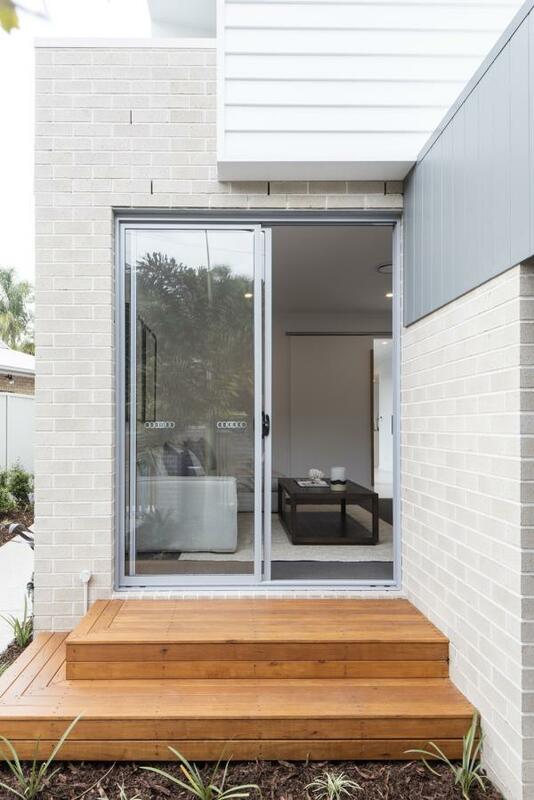 Architectural, Affordable and Functional. 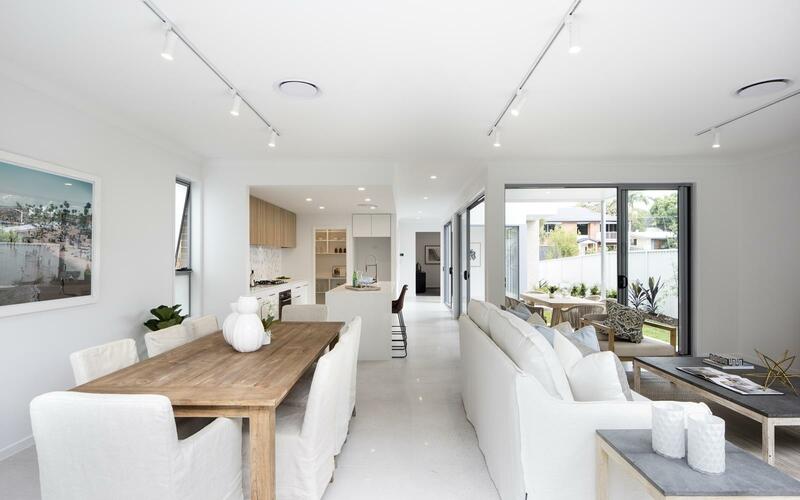 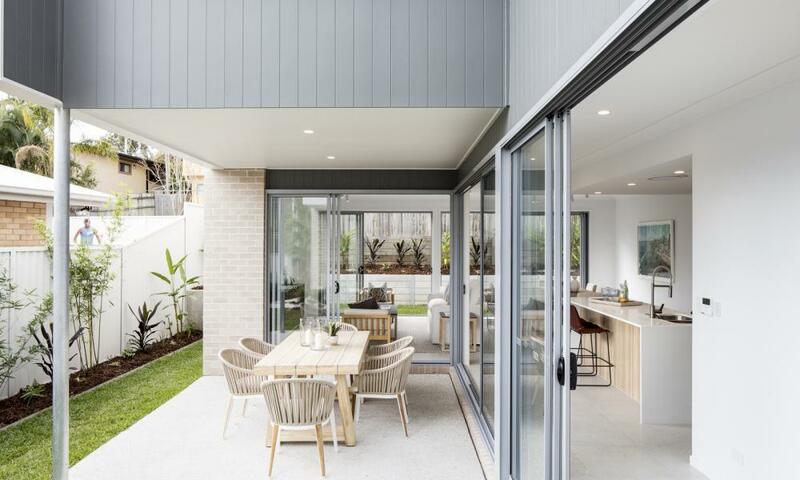 This two dwelling house development redefines the expectations of small lot living, positioned in Southport close to the trending Brickworks establishment. 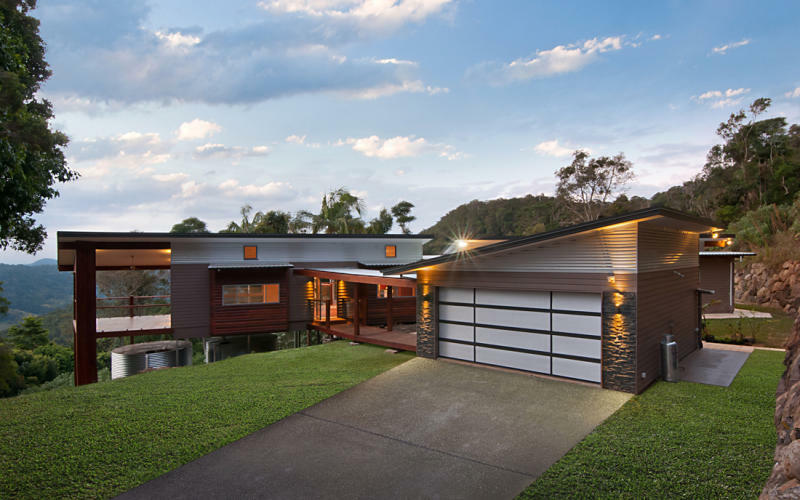 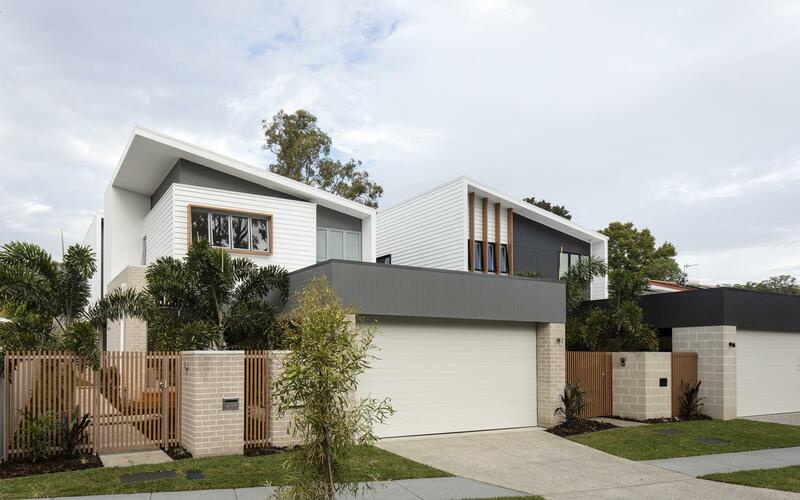 This clever design has allowed two large homes to fit on a 668m2 lot with no sacrifice to the standard of living. 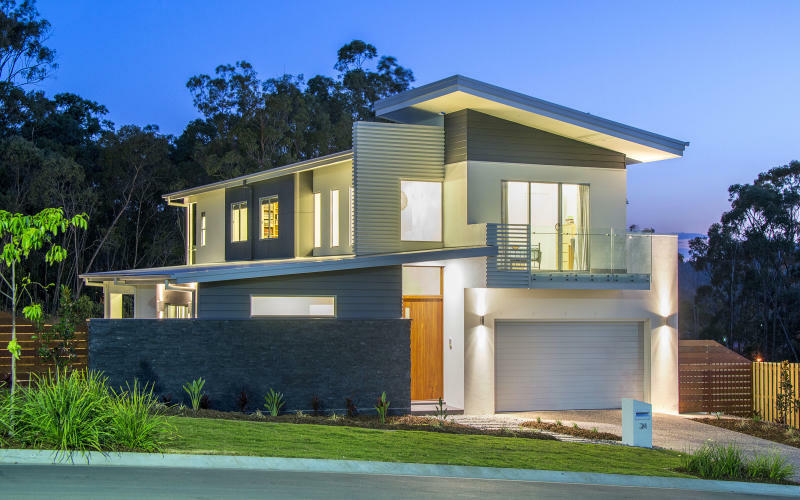 The building itself is a fusion of contemporary natural materials including stone, brick, timber, cladding and glass that offers clean lines and angles of a modern home, but combined with the luscious tropical landscape it is welcoming and unassuming. 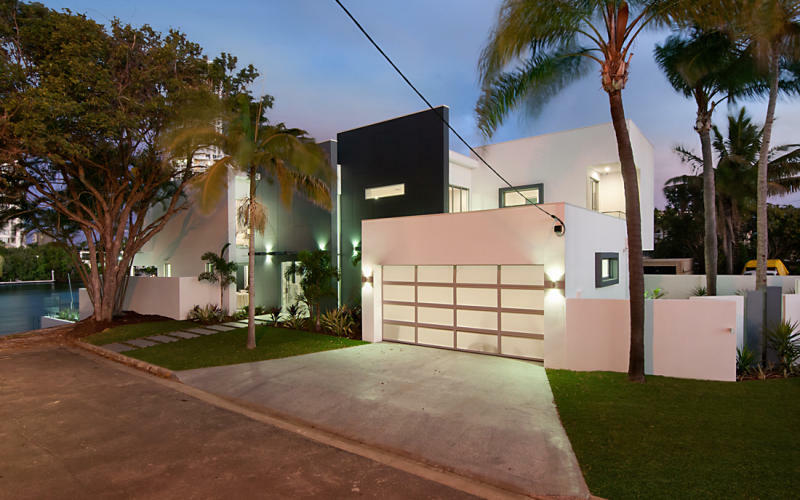 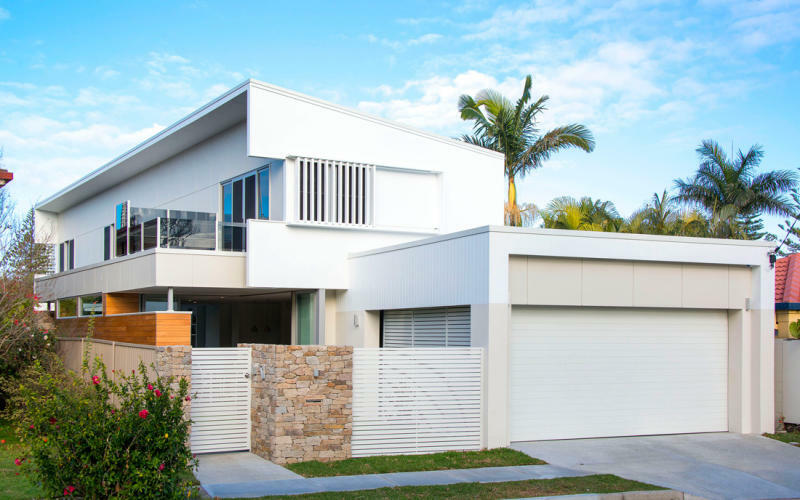 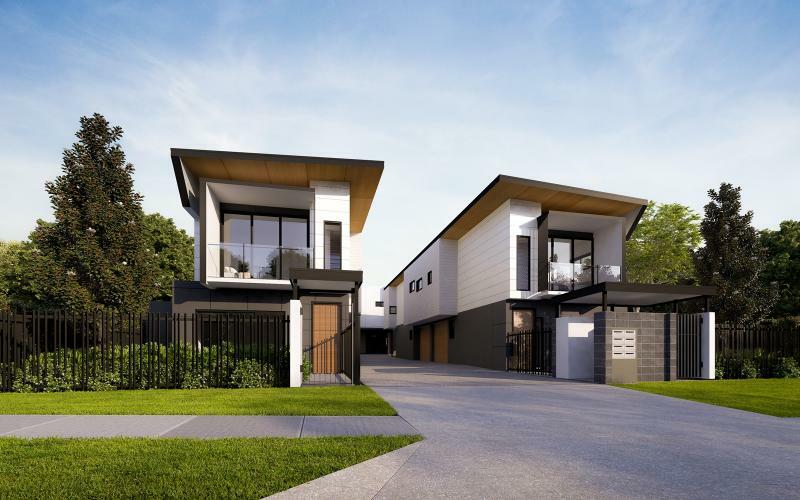 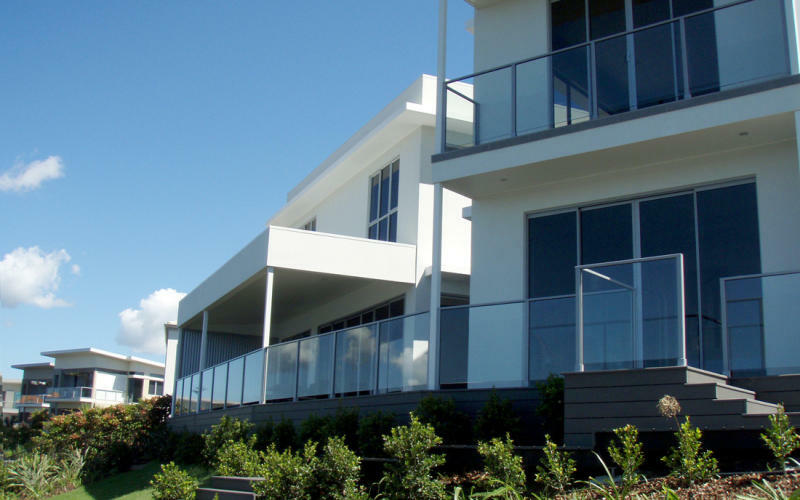 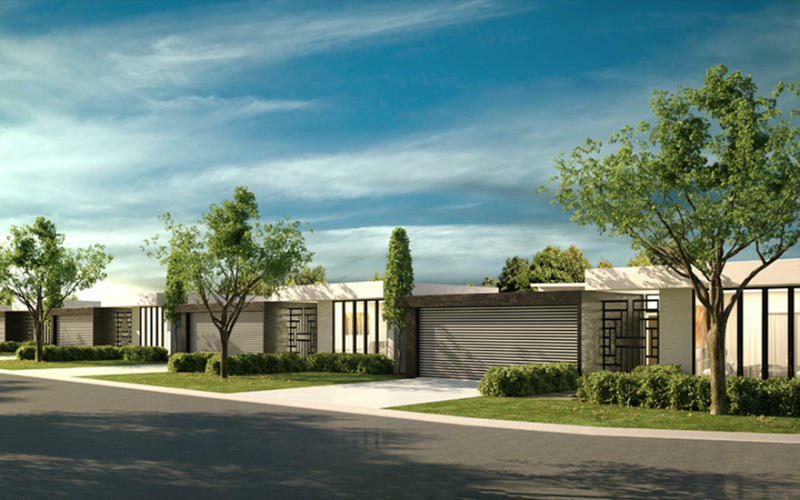 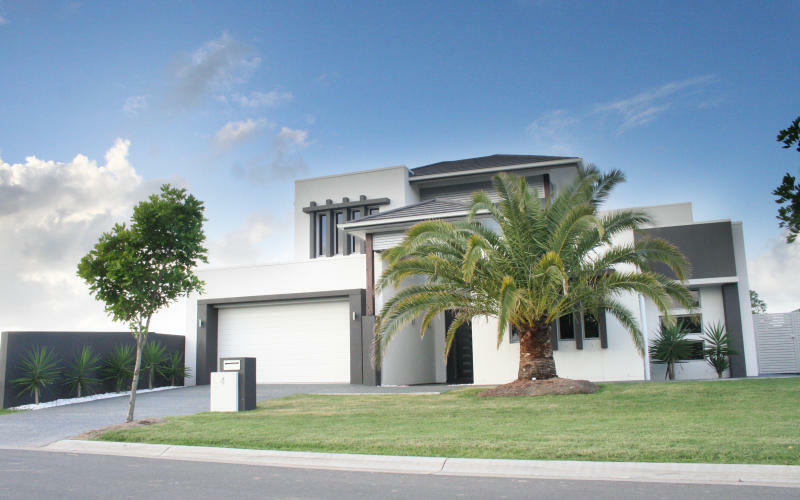 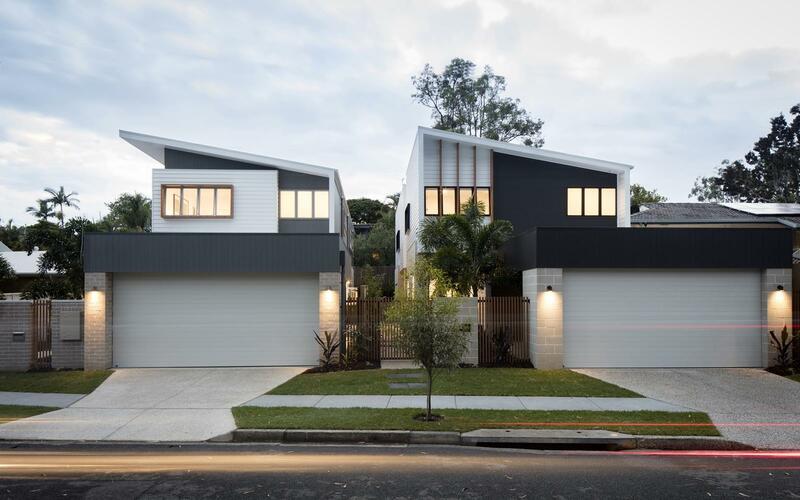 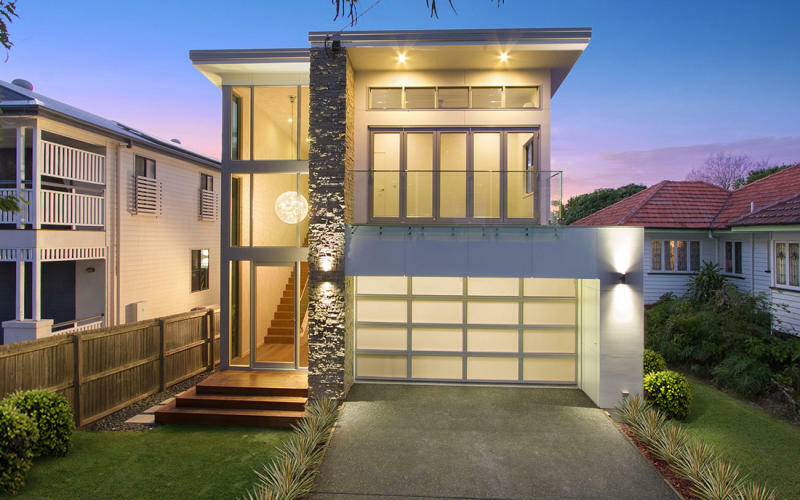 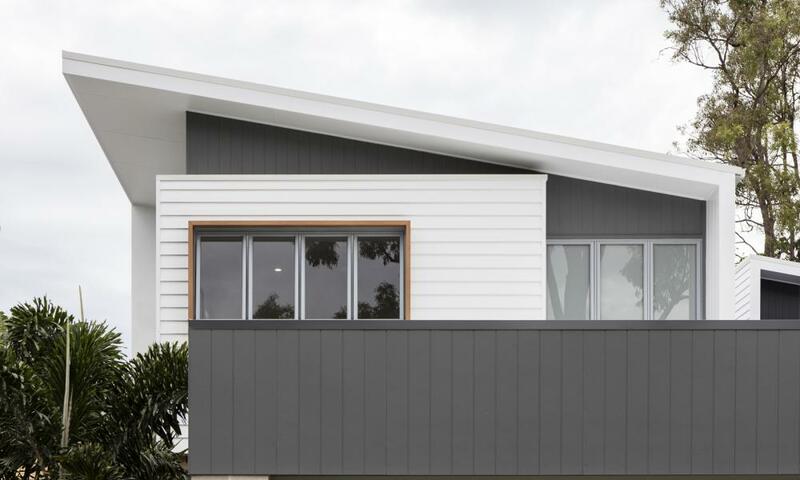 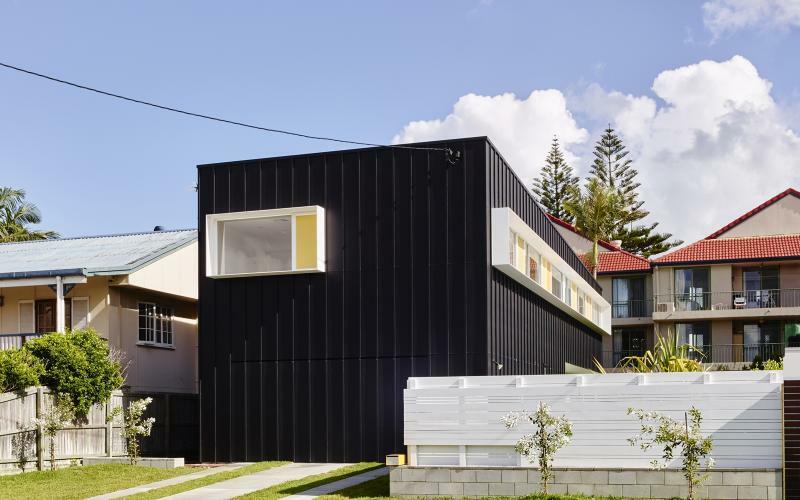 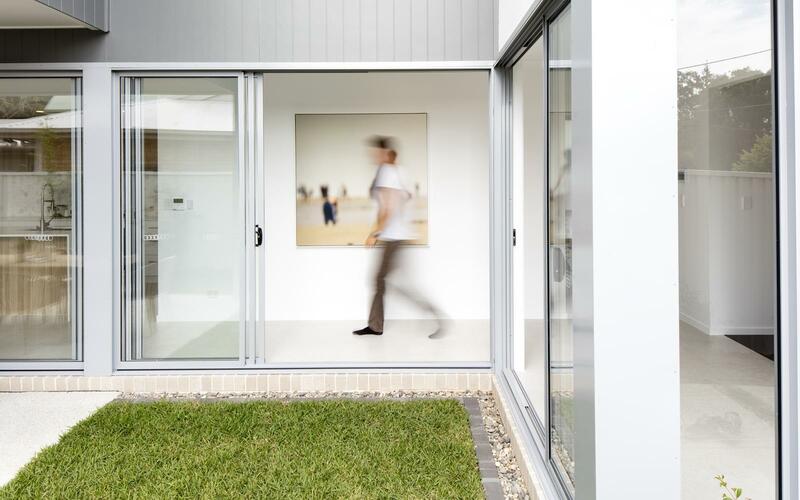 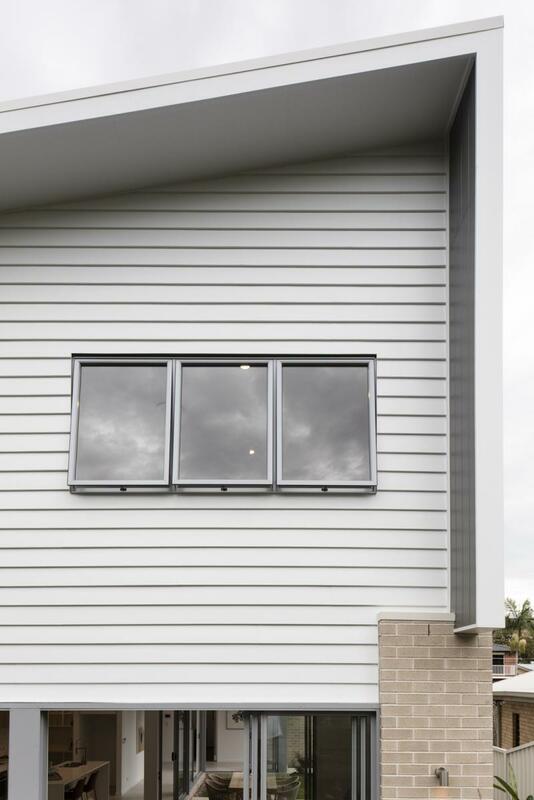 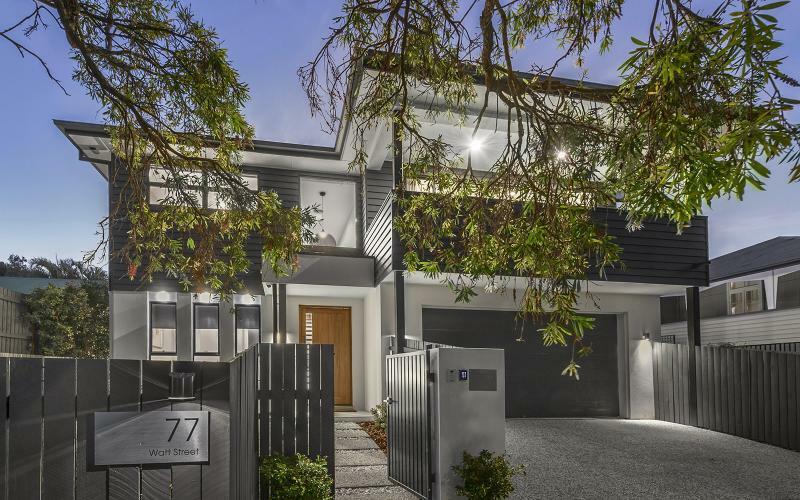 The harmonised yet individually styled facades offer modern geometric shapes, with individualised colour palates to not only meet council conditions but blend with the existing houses in the street. 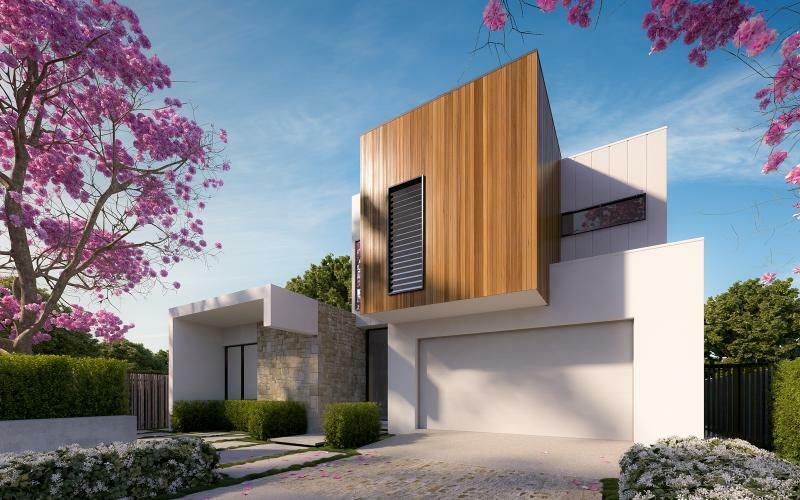 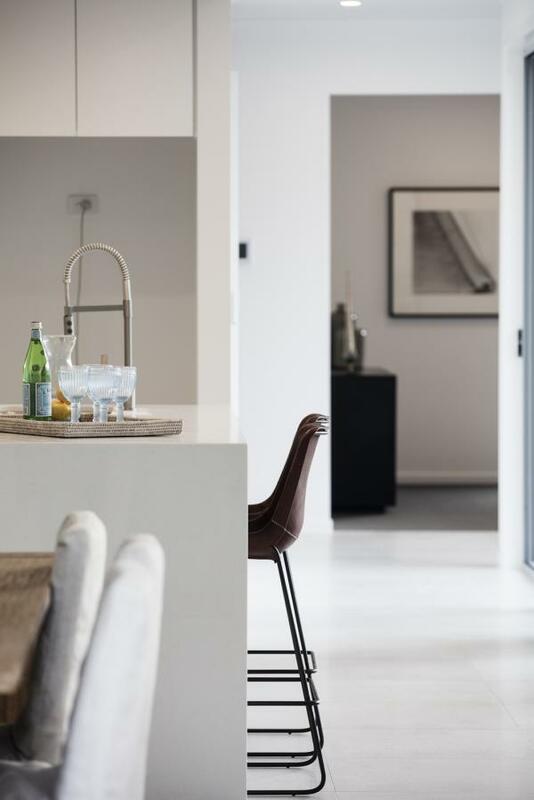 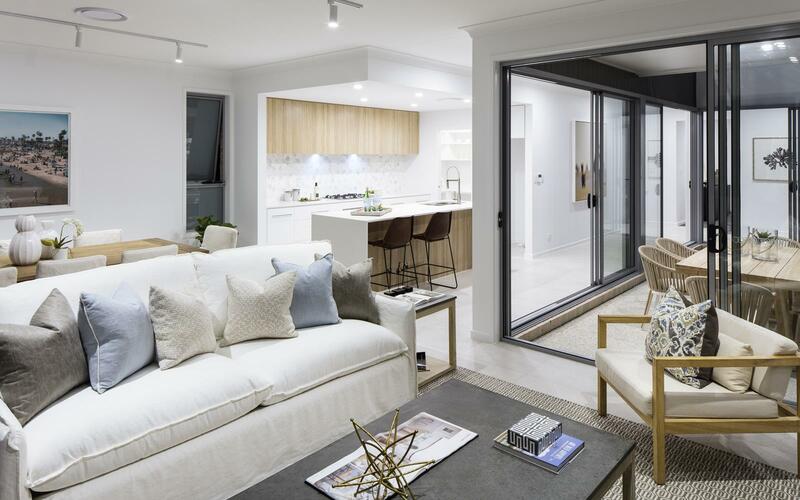 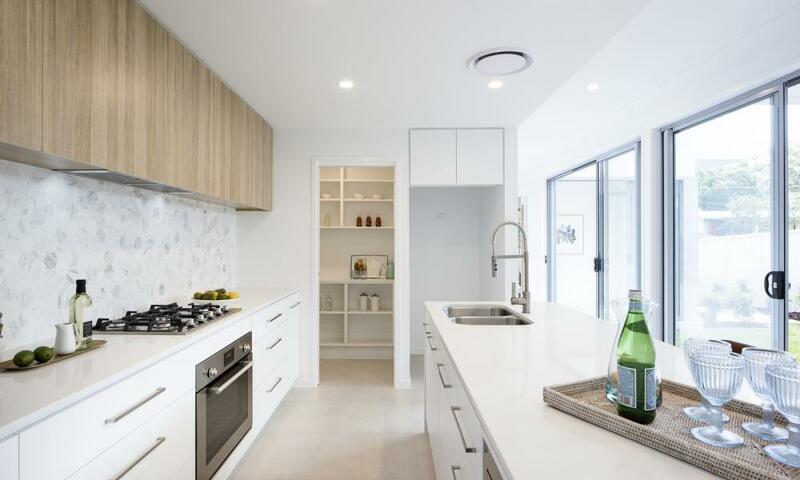 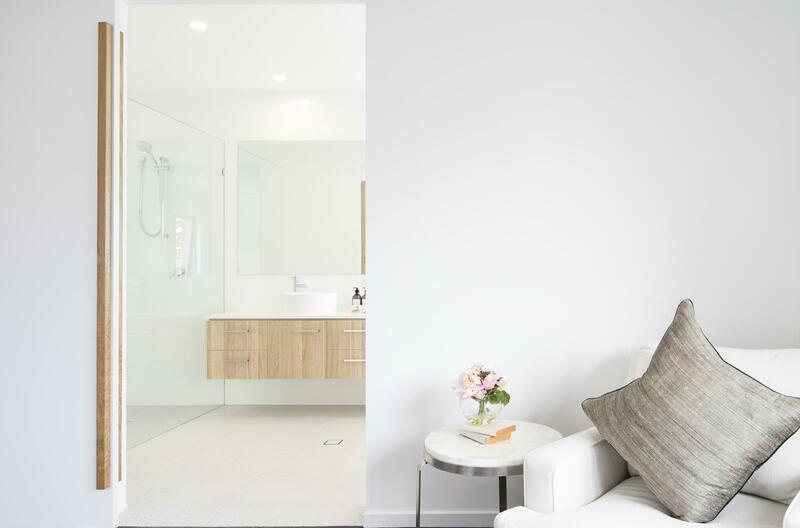 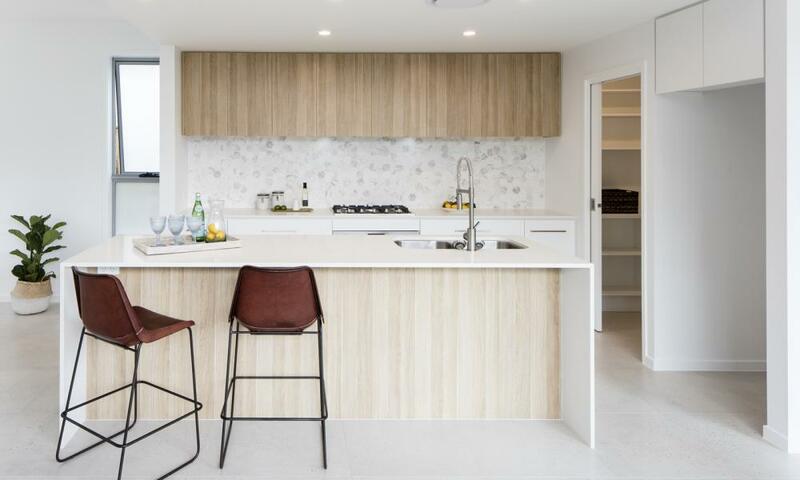 This individualisation process of the project further highlights the high standard of workmanship and attention to detail in the overall finishes selected and customised to each home. 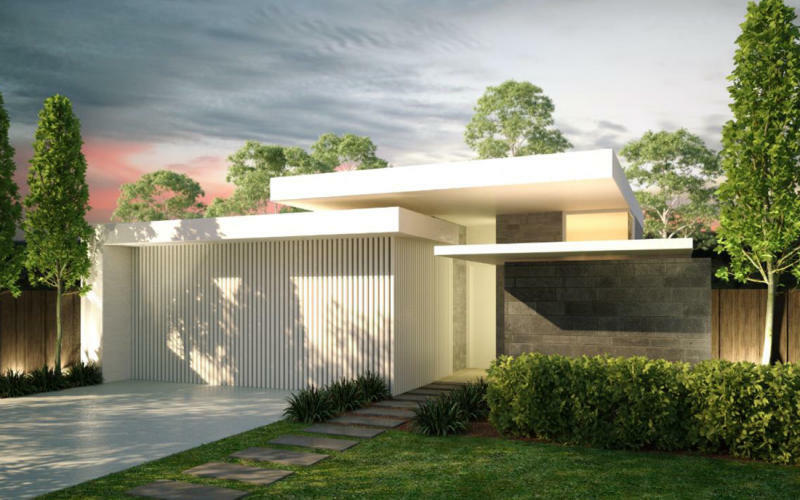 The careful management of craftsmanship of accentuating style while keeping it at an affordable price, has created absolute value for money.